The fossils from the Cambrian period can cause a real headache for evolutionary biologists. Instinct tells us to expect simple organisms evolving over time to become increasingly more complex. 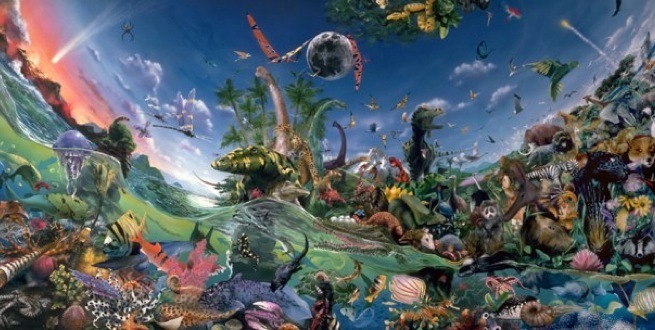 However during the Cambrian period there was an apparent explosion of different major groups of animals, all appearing simultaneously in the fossil record. We looked at priapulid worms, which were among the first ever predators. What's remarkable is that they had already evolved into a diverse array of forms -- comparable to the morphological variety of their living cousins -- when we first encounter them in the Cambrian fossil record. It's precisely this apparent explosion of anatomical diversity that vexed Darwin and famously attracted the attention of Harvard biologist Stephen Jay Gould. Our work has shown that despite many new fossil finds, including many from China in the last decade, the picture remains largely unchanged. This is really important because the fossil record is notoriously incomplete. It is often difficult to know whether a pattern is just an artifact of this incompleteness, or biologically meaningful. Our study resolutely confirms the latter. Priapulids are fascinating animals with much potential in evolutionary studies. They have a long history, with the earliest known species being 505 million years old, and with some of their extinct relatives being even older. They were important components of ancient bottom-dwelling marine invertebrate communities, and their predatory habits are well documented in the fossil record. However, for all their abundance and diversity, priapulids are a remarkable and often cited example of a morphologically conservative group, their overall shape and proportions having changed relatively little during their history. , so named because they are very common in the Burgess Shale. You can see how the priapulid body plan has essentially not changed from 505 million years ago to the present. And yet, as Wills observes, they appear in an "apparent explosion of different major groups of animals, all appearing simultaneously in the fossil record."